Our community is enriched by music and the arts. With every ticket purchased, you show your support for furthering that enrichment. We are proud to offer quality entertainment to our community and it's people like you who make that happen. 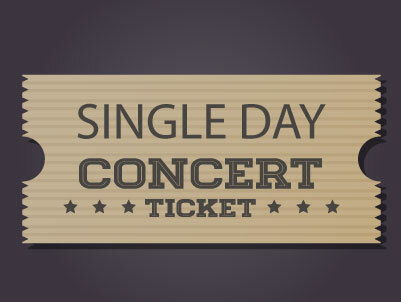 Single Day Tickets are conveniently available for purchase also. Whether you are needing extra tickets for guests or just needing tickets for the event – You will find our Single Day Ticket Sales easy to use!